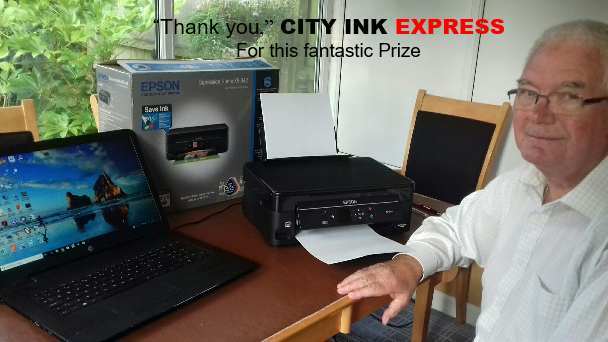 If you hadn't already gathered by now, continuous ink supply systems or CISS systems are a speciality for us here at City Ink Express. With continuous ink supply you are saving an incredible amount of both time and money with your printing, without ever compromising on quality. Our CISS systems are extremely popular, but they can be fairly tricky to fit and install. We offer as many installation tutorial videos as we possibly can over on our YouTube channel, but of course with the extent amount of printer manufacturers and models we cater for it's extremely difficult to get a tutorial done for them all! This is where our CISS printer bundles come in handy: you can purchase a fantastic quality printer with a built in CISS system and have it delivered to your doorstep. This is fantastic value for money and requires zero effort apart from the click of a button your end - what could possibly better? We have found our CISS printer bundles an extremely attractive option for customers, which is why we thought we'd draw up a quick top 5 list to show you which printer bundles our customers tend to opt for to help you make your decision! If you need any help making your choice please don't hesitate to get in touch with us - we are always more than happy to help. We're delighted to announce that we've recently joined the exciting world of Pinterest, and we can't quite believe we were missing out for so long! Here at City Ink Express we'd consider ourselves experts in all things printing - we offer low cost, high quality solutions for almost all of your printing needs. This means that we naturally have a keen interest in photography and beautiful images, as well as how to print them of course. We use Pinterest to pore over stunning works of photography, which we consequently pin to our specific boards and share on social media - but only if the image is truly special. We believe our interest in photography provides us with another dimension to engage with our customers and social media followers, and we love sharing images we think are great and seeing which photography inspires others. Though we're fairly new to Pinterest, we're really excited about our new social media venture, and we're really enjoying exploring some of the stunning photography that's available through Pinterest. Here are 3 of our favourite Pinterest boards and some of the gorgeous images we've pinned ot them! Don't forget to give us a follow. Our Inspiring Scenery board is home to this beautiful image, which simply took our breath away when we saw it. The mesmerising scenery and incredible colour scheme just stops you in your tracks - we simply had to pin and share it. This image got some great responses on our Google + page - it seems you guys love this image of West Virginia from Joseph Rossbach just as much as we do! This picture doesn't really need an explanation does it? It lives on our Beautiful Photography board for the simple reason that it is such a beautiful shot! It perfectly captures how big and powerful lions really are, you certainly wouldn't want to mess with the one pictured here would you? Portraits of people make up some of the most simple but effective photography ever. This shot by Rebecca Cygnus is truly magical. Though not strictly a portrait, it's an image of a person - but the setting and the pose is what really brings this picture to life. The colours and the beautiful reflection in the water are why we just had to pin this image to our Portraits of People board.